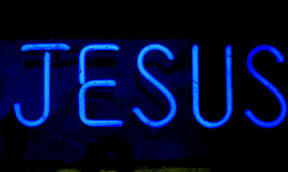 Use the Name of Jesus fearlessly and without doubt. Remember, demons, principalities and powers of darkness cannot resist the authority of that Name. When fear attacks you, use the Name; say, “In the Name of Jesus, I rebuke fear; I refuse to fear!” No matter the challenges you’re faced with, don’t panic or cry; say, “I command a change in the Name of Jesus,” and it shall be so. O, the power of His Name and the victory and dominion we have in Him! If you’re in any predicament today, use the Name of Jesus as an instrument. Declare that in His Name, you have the wisdom to do excellently in every situation. Live victoriously every day—in His Name. The 17th of May, every year, is a day when the nation of Norway celebrates her independence. This day ignites so much exuberance among citizens and residents of the Nordic nation. Streets filled with celebration, people dressed in national colours, singing and partying in remembrance of how the country was liberated in 1905 from oppressive powers, which restricted her of her independence for many centuries. The Norwegian Independence Day celebration of 2012 was very different and unique in every step of the way as Partners of the Rhapsody of Realities transformed the event and re-wrote history. It was commonplace to see people friendly and frenzied on the Independence Day; but it was unusual, until then, to see groups of people giving out free books and spreading numinous salvation on a day set-apart to celebrate mundane salvation. The Partners were dressed in Norwegian national colours as they paraded the streets of Oslo in intense joy and delight. They practically redefined “Independence” to the Scandinavian nation. The people were initially perturbed, but after they listened to the message from the Partners; they were not only delighted but also joined the march. It’s awesome what the word of God can do. Several thousands of Rhapsody of Realities was given to residents of the Nordic capital city on the day. Now, in 2013, Norway is bracing for another historic moment with the Rhapsody of Realities as the people are looking forward to another opportunity to be blessed in a unique way that only the world’s bestselling devotional can do. May 17, for every year to come, will not only be celebrated by the Norwegians as Independence Day, but also as salvation day. Thanks to our Messenger Angel.